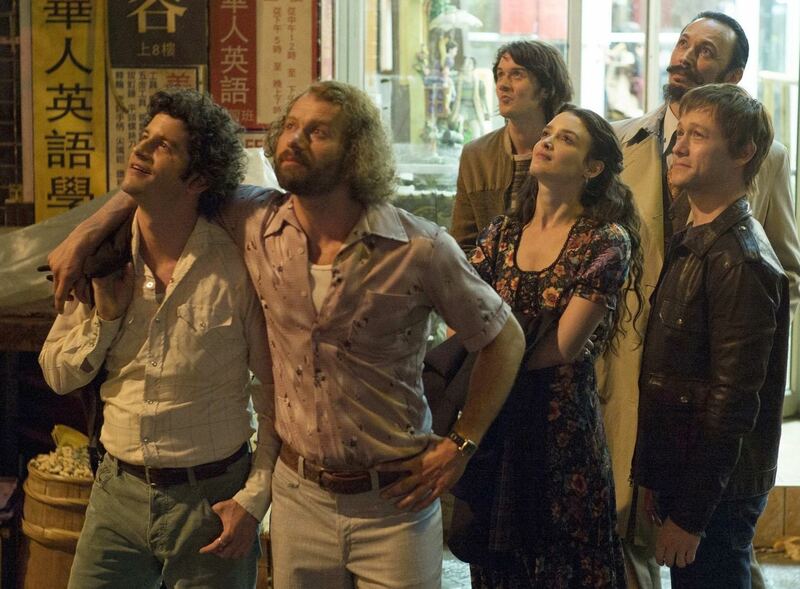 ‘Walk’ & Talk: Zemeckis (Almost) Pulls Off An Overly Chatty High-Wire Heist – . . . real nobody . . . It seems exactly enough time has passed to allow for a film that prominently features New York City’s fallen World Trade Center without any explicit reference to September 11. 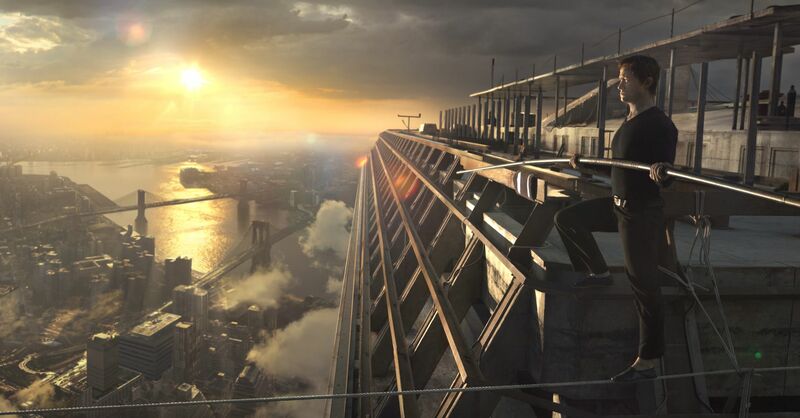 Though Joseph Gordon-Levitt has top billing, The Walk really belongs to two much bigger stars — the Twin Towers themselves, brought back from the dead in all their steel majesty in Robert Zemeckis’ latest technological feat. 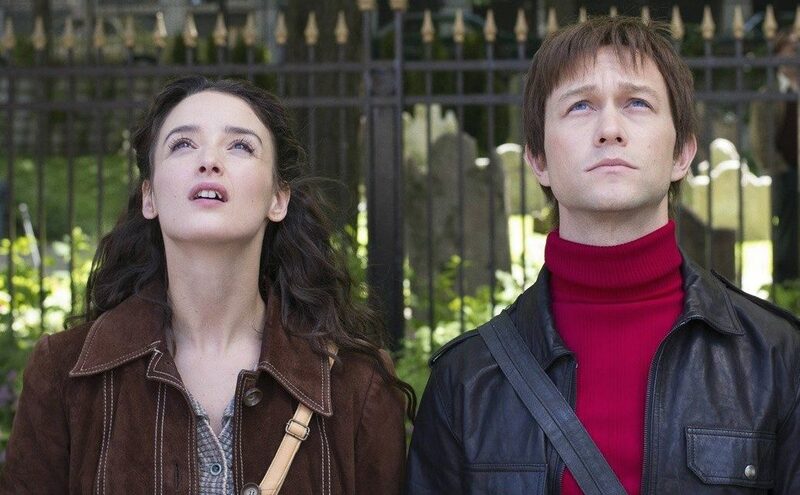 Though the shadow of 9/11 inevitably looms large, The Walk does an admirable job of leaving the past — or, in this case, the future — behind, telling a solid story that doesn’t really need to acknowledge the sad truth that we all already know anyway. Movies have had a shaky time confronting that horrific attack head on — Oliver Stone’s overwrought World Trade Center and bewildering Best Picture nominee Extremely Loud & Incredibly Close being notable examples, with United 93 as one masterful exception. It’s hard to believe that Zemeckis would have ended The Walk with the same loving, lingering shot of the towers had they not met such a cruel fate, but the film also acknowledges that we’ve mourned and grieved enough to do some celebrating of what was for a change. 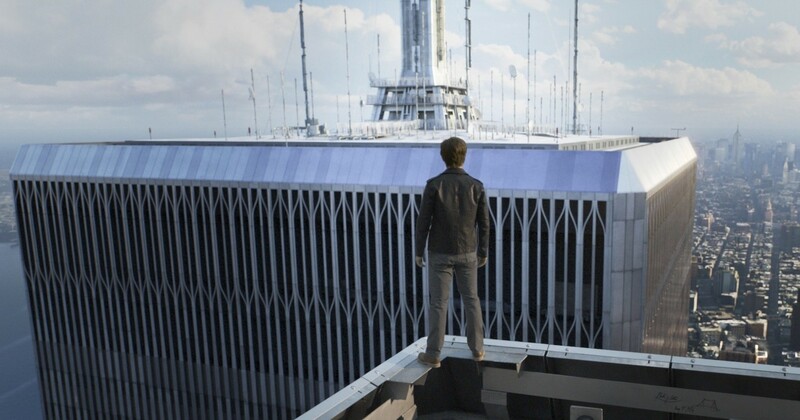 The Walk is respectful of the towers’ legacy, but not overly cautious about it. Unlike its hero, it feels no need to tip-toe around the truth, and instead immerses us in a moment — 1974, to be exact — when the towers were just being built, met with mixed feelings by the people of New York City, but certainly a thing to behold. Zemeckis takes us back to to a time when we were not awed by what happened to them, but amazed by the towers themselves. He allows them to be a symbol of wonder and possibility, which is no small feat, given that we all know what came later. As a love letter to the enduring spirit of New York City in the wake of a tragedy, The Walk is a masterpiece. As a movie? It’s alright. Like the celebrated documentary Man On Wire, The Walk tells the story of Philippe Petit, who is, as his name suggest, very, very French. He is played by the very, very American Joseph Gordon-Levitt, who does an admirable job not only with a French accent, but with a certain… how do you say?… je ne sais quoi. The casting of Gordon-Levitt tells you everything you need to know about Zemeckis’ approach — though he’s probably about as good as any American actor could be in the part, it’s impossible to see the character as anything but Joseph Gordon-Levitt “doing” French. The part doesn’t exactly leave room for a nuanced performance. It’s a stunt, and so is the whole movie. Which brings us to the walk section of The Walk, also known as the Reason You Paid Money For This. It more or less does the trick, without resorting to cheap tricks (such as, say, having Petit dangle from the wires, about to plummet to his death, which did not happen). Given how short it is on substance, would The Walk have been equally or more satisfying as a 30 or 40-minute experience, without the lengthy setup? Probably. Zemeckis’ most egregious error is the corny device of having Petit narrate the film from atop the Statue of Liberty. The location itself is a nice nod to that original gift to New York City from the French, which pays off in the film’s touching finale, which suggests that Petit’s walk may be what made the towers such an endearing landmark in the first place — another architectural gift from France, albeit a very indirect one. Perching Petit on the Statute of Liberty, talking directly to camera, immediately frames the movie as a fantasy, which is kind of an odd choice for a true story, but I could have forgiven it if the constant voice-over wasn’t so intrusive, interrupting moments that might be genuinely moving with dialogue from Petit telling me how genuinely moving this moment was. Petit narrates all kinds of moments for no reason, pointing out things we can already clearly see are happening. (This is the perfect movie for blind people. You won’t miss a thing.) Zemeckis co-wrote the script with Christopher Browne — this being Browne’s first feature credit on a screenplay — and writing has rarely been Zemeckis’ strong suit. The film’s best scenes are the ones where Petit the Narrator pipes down for a minute, but those are few and far between. The story is already as simple as can be, so the constant explaining grows maddening. Petit’s walk, in its first few blissful seconds, is chatter-free, but then Future Petit cuts in to tell us how he’s feeling, rather than just letting us feel it with him. Do we need to be told that crossing the Twin Towers on a wire 110 stories off the ground is super exhilarating? Apparently, we do. And for those of you thought Forrest Gump‘s CGI feather was bad? No joke — in The Walk, we get the whole bird. Yes, The Walk is coated with a hefty helping of Hollywood cheese; by comparison, it makes Cast Away look like it was directed by Michael Haneke. More often than not, Zemeckis gets more excited about computer-generated wizardry than he does about storytelling. That pays off in the sense that this 3D is some of the best you’ll find (and I’m not generally a fan of 3D), and the CGI recreation of the Twin Towers is sometimes (but not always) astonishing. It’s impressive special effects work, though I couldn’t help but feel short-changed by the fact that it’s so much easier to cross the World Trade Center with computer graphics than it was on a steel cable for Philippe Petit. Now, I don’t expect them to actually string Joseph Gordon-Levitt 110 stories off the ground just for the sake of realistic stunt work, but when Philippe furiously refuses to wear a safety belt during the walk because it would be inauthentic, it rings a little false because this whole movie is a cheat. Yeah. I know, I know — all movies are, in a sense. 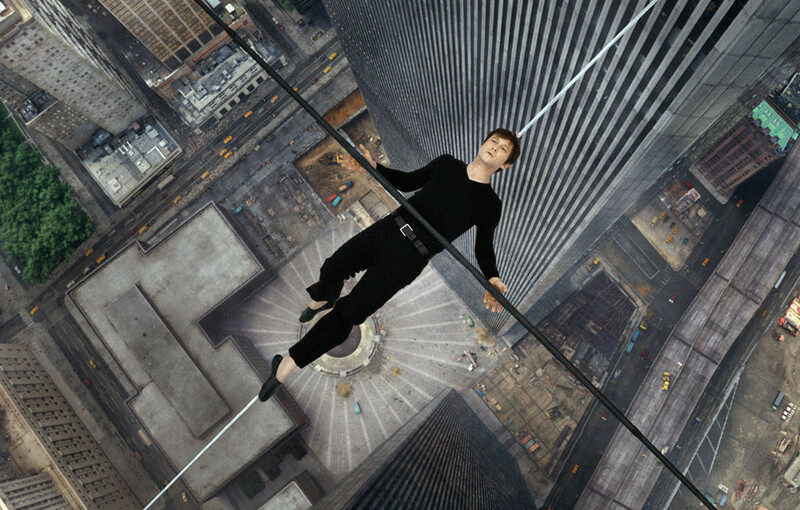 But not all movies are about an act of high-wire athleticism like The Walk. And while a lot of what’s accomplished here looks reasonably impressive on a big screen in 3D — and will probably not hold up so well on smaller screens in 2D — there’s a disconnect between what the movie is and what it’s about, how Zemeckis asks us to applaud little CGI Joseph Gordon-Levitt for his high-stakes artistic “coup” when almost nothing we’re seeing has any real risk, art, or physicality to it. The real Gordon-Levitt was walking across the floor against a green screen. As good as the digital effects are, I never found them truly convincing, just as I was never convinced that Joseph Gordon-Levitt was actually French. You never for a moment forget that it’s all artifice, which is strange for a movie that purports to be all about artistic authenticity.